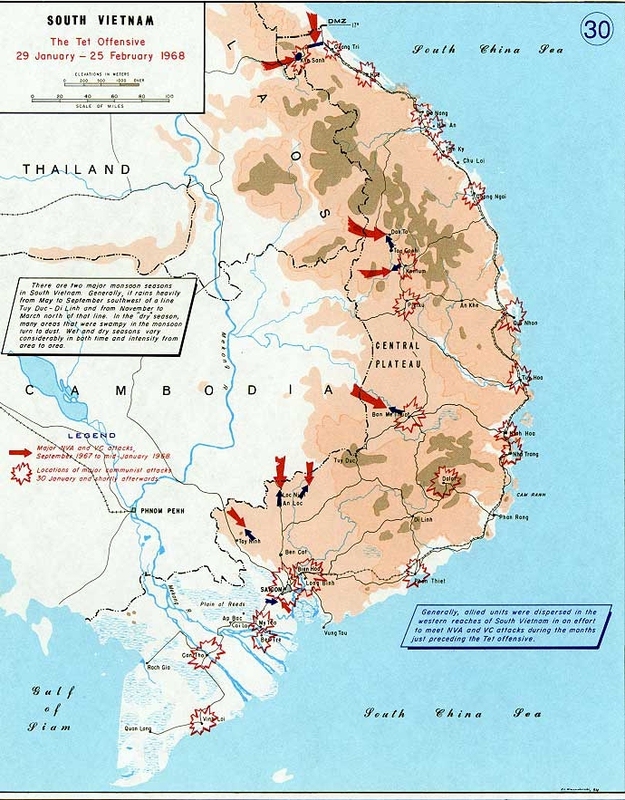 Below are maps of Vietnam. Hopefully these maps will help you to learn more about the war and what went on. There are important cities and battlefields illustrated throughout the maps. Above is a map of cities throughout Vietnam. The map shows main cities in the country. Here is another map of the cities of Vietnam. This map is more detailed and shows more of the country. 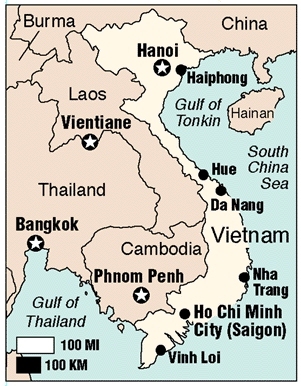 Here are the towns and the cities of Vietnam. 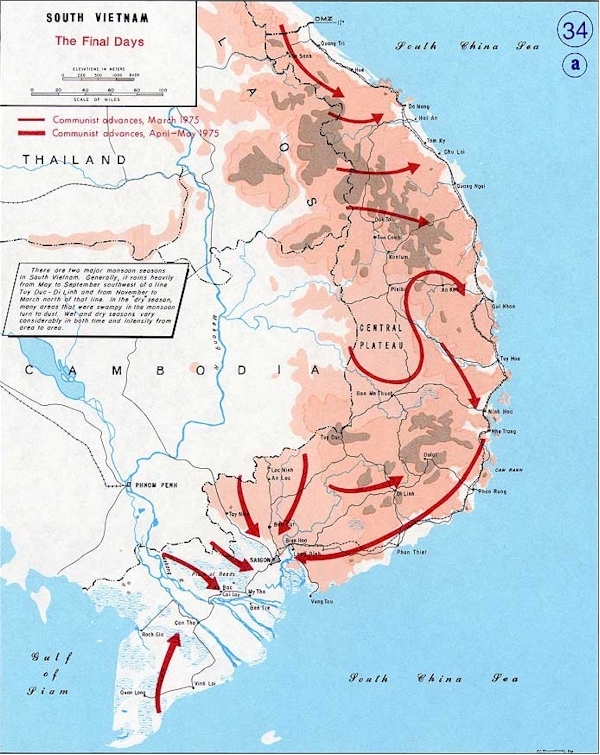 The map of above shows you major attacks of the NVA. It is shown by the arrows that are red and blue. There are also explosion pictures throughout the map, which are communist attacks made in the country. This map is about communists in the country. The arrows are communist advances in the country. Theyre shown, because the communists of the country rebeled. May the victims of the war rest in peace. 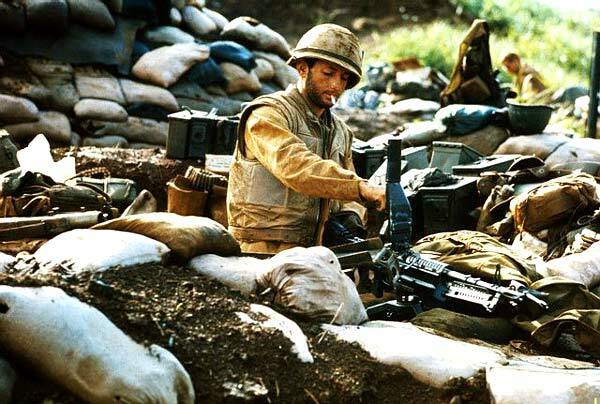 These maps show the permanent graves of the soldiers and the ground they will lie under.